What Is the BTU in Air Conditioning? According to the U.S. Environmental Protection Agency (EPA), most people buy room air conditioners that are too large for their spaces, which can result in energy waste and increased air conditioning costs. Most small rooms need only 5,000 to 10,000 British Thermal Units (BTUs) of cooling power. Extremely large spaces can require 24,000 BTUs or more, however. Measure the room carefully to determine the correct air conditioner size for a given space. Many people buy air conditioners that are too large for their rooms. 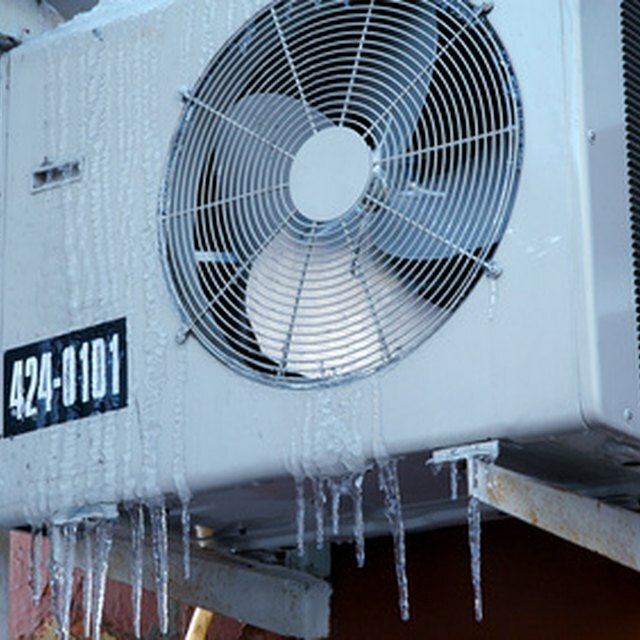 Manufacturers measure the cooling power of an air conditioner in terms of BTUs, which is the amount of energy required to raise the temperature of 1 lb. of water one degree Fahrenheit. In air conditioners, BTU measures how much heat the unit can remove from a space. The smallest room air conditioners rate between 5,000 and 6,000 BTUs and are suitable for rooms between 100 and 250 square feet. A 24,000 BTU air conditioner would work best in a room between 1,400 and 1,500 square feet. Measure each room carefully to determine the appropriate size air conditioner for the space. In rectangular or square rooms, determining area is easy: Simply multiply the length of the room by its width. The resulting number is the number of square feet in the room. In odd-shaped rooms, divide the space up into individual rectangles or squares, determine their areas and add the numbers together. To determine the area of a triangular space, multiply the length by the width and divide by two. Room area isn't the only factor that affects air conditioner cooling power. According to the EPA (see reference 1), very heavily shaded rooms require 10 percent less cooling capacity. Very sunny rooms require 10 percent more. When the room houses more than two people, add 600 BTUs to the cooling requirement per person. Kitchens need an extra 4,000 BTUs due to heat emitted by stoves and other appliances. High ceilings can also increase a room's cooling requirements by adding extra volume. Don't think that a bigger air conditioner provides better cooling power; it can actually make a room less comfortable. Air conditioners pull both humidity and heat from the air, leaving the room cool and dry. Excessively large air conditioners will cool the room rapidly but won't remove all the humidity. The result is a damp, clammy-feeling room. Overly large air conditioners with built-in thermostats may also stop and start continuously, resulting in a room that always feels too hot or too cold.